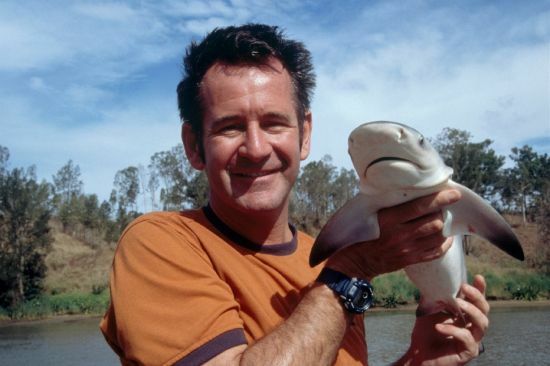 Nigel Marven is one of the most celebrated zoologists, wildlife adventurer, film maker and a television presenter. He has encountered killer whales, has come face to face with polar bears and has dived with bull sharks. This November, Animal Planet brings viewers closer to animal kingdom with MARVELLOUS MARVEN, a month-long programming special in which Nigel encounters some of the world’s most interesting and sometimes misunderstood creatures. Nigel has travelled corners of the world in search of animals, observing their natural way of life in their natural habitats. Animal Planet’s MARVELLOUS MARVEN captures his new quest to find-out and tackle-down some of the most unusual animals and follows him to unravel mystery of the shark islands off Costa Rica. Viewers experience Nigel’s thrilling adventures as he gets up close and personal with hammerhead sharks in the vast expanses of Pacific Ocean, visits the far flung corners of Yunnan province in Southern China in search of rarest creatures like snub-nosed monkeys and tracks some awkward looking animals in Southern America. MARVELLOUS MARVEN kicks off on November 4 with the episode Ugly Animals as Nigel devotes time to find some of the weirdest looking animals and offers a platform to demonstrate their remarkable traits. He meets a massive male ‘warthog’, bristling with hair and covered in facial lumps or warts and explains how these lumps act as shock absorbers during battles. He reveals that these odd-looking animals have certain unique features which make them successful survivors in the wild. Nigel tracks frogs, elephant seals, wolf fish, naked mole rats, storks and star-nosed moles and finds them far more fascinating than a lot of beautiful creatures often seen by viewers on their television screens. For the most deadliest adventures of Nigel Marven, tune in to MARVELLOUS MARVEN Monday to Friday at 9:00 PM, only on Animal Planet.